When you first learned how to read, you also learned the power of the written word. As you turned the pages from nursery rhymes to children’s stories to novels and textbooks, the power of the written word has not only entertained and enlightened you, it also has inspired you to the higher calling of teaching others how to read. 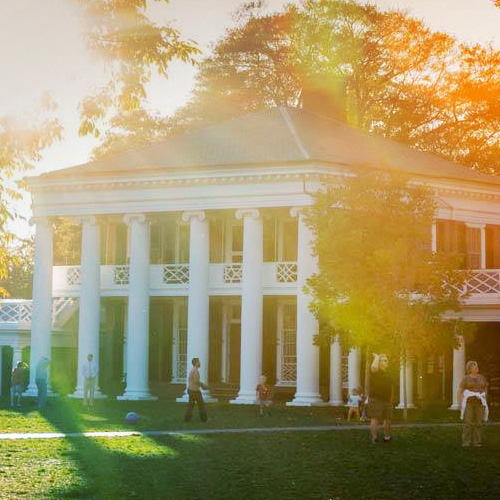 There’s no better place to answer that calling than at the UVA Curry School's Reading Education program. Graduates of our nationally recognized Reading Education program teach children in elementary and secondary classrooms, coach colleagues in exemplary schools, train future teachers in colleges and universities, and conduct research. The Curry School offers the M.Ed. and Ed.S. degrees (post-graduate professional) in reading instruction and two doctoral-level degrees, the Ed.D. and the Ph.D. Achieving an advanced degree or certification in Reading Education can enhance your career and help you make a broader impact on the students you teach. In addition, achieving these advanced degrees can positively impact your overall marketability, job flexibility and salary. There are many options and preparatory degrees to become a reading specialist, and all lead to different outcomes and career types. Let us help you decide which degree or certification fits your goals. With an M.Ed. in Curriculum & Instruction-Reading Education, you can strengthen your instructional skills for effective teaching of reading and learn how to develop reading programs and literacy coaching at the elementary and secondary school levels. This program also prepares you for literacy work in community colleges, industry, adult education programs, commercial education centers, and private practice. Classes for the M.Ed. degree can be taken online, at our main campus or at our regional centers in Northern Virginia, Richmond or Newport News. The Ed.D. in Curriculum & Instruction-Reading Education doctoral-level program prepares you for college or university positions or for positions in public schools with specific responsibilities for instruction, including reading intervention. Through coursework, a clinical internship, and practical experience, you will be expected to make recommendations to solve an important problem that teachers face in the classroom. 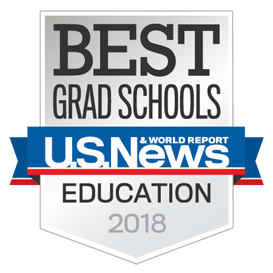 By earning a Ph.D. in Education—Reading Education, you can become a true expert in the field and work in either higher education or research organizations. Rigorous coursework, an apprenticeship and practical experiences prepare you to produce original research contributing to the knowledge base of Reading Education. Classes for our doctoral programs can only be taken at our Charlottesville main campus. Learn more about our nationally recognized Reading Education programs! The university is the home of the McGuffey Reading Center. In operation since 1946, it serves students and parents who seek guidance regarding reading instruction and the diagnosis of reading disabilities. Begun in 1997, PALS (Phonological Awareness Literacy Screening) is the research and service center of our Reading Education programs. Its PreK-8 literacy screening instrument is used in the majority of districts in Virginia and in many states. PALS Espanole takes the literacy screening to L2 students in Virginia and other states. The Virginia Spelling Studies line of research produced what today is recognized as the leading theory regarding students’ development of orthographic knowledge and the Word Study method of instruction. A literacy coaching model, implemented nationally as an effective means of improving the quality of reading instruction, is a current research area of the program. The Curry graduate reading program area prepares teachers to be better classroom teachers of reading, to apply for the K12 reading specialist endorsement to be added to their teaching licenses, and to become literacy leaders and/or coaches in school districts and community colleges. Our graduates understand best practices in applying literacy content, practice and research to students with diverse backgrounds and diverse needs. They are experts in using data and informed reading specialist judgment in instructional decision-making to assure that students in their practice become competent readers and writers. The reading program area is awarded TEAC accreditation by the Inquiry Brief Commission of the Council for the Accreditation of Educator Preparation (CAEP) for a period of seven years, from April 2015 and April 2022. The Virginia Department of Education (http://www.doe.virginia.gov) lists the University of Virginia as an approved reading specialist preparation program. Where to get grades and transcripts? Opportunities include in-person and online courses and workshops, literacy audits, and coaching. Keep in Touch with Reading@Curry!